Kiri Parr is a Principal and Regional Legal Counsel with Arup, a global engineering design consultancy who seeks ever better ways to imagine, reimagine and reshape the built environment. Globally, Arup has more than 12,000 staff operating out of 92 offices in 40 countries and with an annual turnover exceeding AUS$1bn and originally established its presence in Australia to deliver the Sydney Opera House. With over 20 years practice in the construction industry, predominantly practicing as a construction lawyer, Kiri has worked on some of the region’s largest projects, including Regional Fast Rail Melbourne, Perth Stadium, Airport Link Brisbane, Marina Bay Sands and Gold Coast Light Rail to name a few. 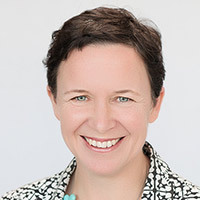 In December 2013 Kiri was elected to the board of Consult Australia, the industry association for consulting companies in the built environment sector and is the current president.